Our law firm frequently represents clients charged with various drug offenses in Pennsylvania following an arrest where police observe alleged drug transactions. Observed narcotics transactions often occur in high crime areas. The Pennsylvania Supreme Court in Commonwealth v. Thompson ruled that where police officers have substantial experience in narcotics enforcement, the alleged transaction establishes probable cause to search. Probable cause exists even if the officer cannot definitively state the alleged item was narcotics. The court in Thompson, however, stressed the Commonwealth (prosecution) must demonstrate a “clear nexus” between the officer’s experience and their experience to search. This wasn’t always the law in Pennsylvania where courts previously held that where an officer could not determine if drugs were part of the observed transaction, the police would only have reasonable suspicion and not probable cause for a search. Reasonable suspicion would only justify stopping the suspect for an investigative detention. No probable cause where the radio police call described the person selling drugs but the suspect was only witnessed staring at police. Flight and furtive movements didn’t provide sufficient cause for a stop. Suspect left his house with a “baggy”, made 3 different stops in his car, and kept speaking with the passenger in the car—no reasonable suspicion or probable cause. off persons at various locations—no reasonable suspicion. Exchange of objects in a high drug activity area and flight provides adequate reasonable suspicion. Mere Encounter or a Seizure? Are you free to leave? 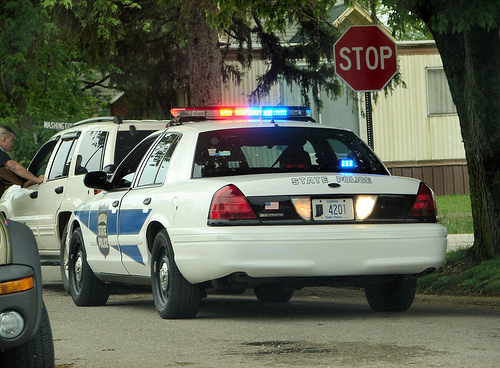 Pennsylvania courts have ruled that anything other than a mere encounter is a seizure. A seizure is defined as any police action in which a suspect’s freedom is restricted by police. In determining whether a mere encounter or a seizure exists, Pennsylvania courts have ruled that it exists where a reasonable person believes that he or she is not free to leave. Keep in mind that suspicion of drug possession, in and of itself, justifies a stop but does not provide grounds for the officer to believe that the suspect is armed. The prosecution, therefore, cannot justify a frisk merely because there are proper grounds for seizure of a person. If, however, a frisk is justified but it doesn’t reveal something that is a weapon or contraband, it cannot be seized. A frisk is limited to a pat down and is not a search. This is known as the plain touch doctrine and basically means that an officer can only seize an item if he or she determines that an item is contraband on their first touch without further manipulation or reach. This rule comes from the case of Minnesota v. Dickerson where the US Supreme Court ruled that a search was illegal when the officer retrieved an item only after further manipulation of it. Pennsylvania adopted the plain feel doctrine (touch) in the case of Commonwealth v. Zhahir and it remains the law today. For more information on drug crimes I encourage you to visit the free download section and download a copy of my free book, What Everyone Should Know About Drugs, Guns, and Defense Lawyers.